ProLimo is offering an all-season special on private sightseeing tours. After all, Berlin is well worth a visit at any time of year. A comfortable limousine ride is the perfect way to discover the highlights of Berlin and Potsdam. Make the most of the time available to you. In terms of surface area, Berlin is one of the world’s largest cities. Many sights couldn’t be reached on a walking tour; it takes a private sightseeing tour to get a more complete picture. Your experienced chauffeur-guide is looking forward to showing you his city – even off-the-beaten-track if that’s what you’re looking for. 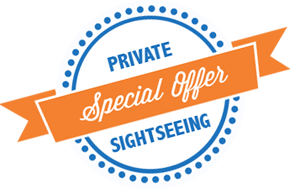 Book our private sightseeing tours and benefit from one or two free-of-charge airport transfers. Book your private sightseeing tour in an executive sedan and get airport transfers for free!